The Willows is the perfect retreat or family compound that allows for both separate spaces, and, yet, gatherings of friends and family. The main home has been totally re-imagined over the years to reflect wide plank flooring, new porch, high-end designer kitchen, new baths, central air, quality built-ins and much more. The home offers 3 bedroom and 2 baths. Toward the rear of the property is an amazing barn with impressive Great Room complex?original wide planking, stone fireplace, walls of glass, open kitchen and balcony that overlooks the heated salt water pool set with an oversized herringbone bluestone patio. The lower level of the guest barn has 2 bedrooms or bedroom plus gym and a full bath. The barn complex is ideally suited for large entertaining and the perfect "Summer get-a-way." The Willows is sited down a long country road and boasts a stream, country bridge, large croquet or Badminton lawn and the privacy and quiet that one searches for in a country retreat. The Willows will impress you aesthetically and move you spiritually. Showings can begin on 10/2/17 on. Oil, Hot Water. Radiant, Forced Air. Exterior Lighting, Trees, Front Yard, Back Yard, Side Yard. Irregular, Sloping, Open, Trees/Wooded, Front Yard, Rear Yard, Sideyard(S). 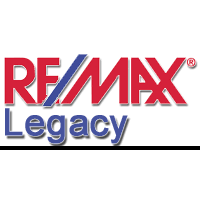 I am interested in 81 Ridge Valley Road, Tinicum, PA 18942. This content last refreshed on 4/26/2019 10:59 AM. Some properties which appear for sale on this web site may subsequently have sold or may no longer be available.